Productivity: As per customer's requirement. DL-Methionine (CAS NO 59-51-8) is a "framework" amino acid in biosynthesis of protein. It is one of the necessary amino acids in growth of livestock, which plays a very important regulatory role in metabolism. Appearance: White flaky crystal or crystalline powder with special odor. White flaky crystal or crystalline powder with special odor. 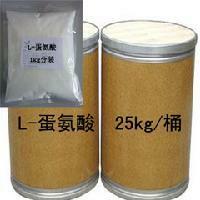 Used as nutritional additive of animals. It is recommended to use the product according to animals` growth performance or advices from nutritionist. Looking for ideal Feed Grade DL-Methionine Manufacturer & supplier ? We have a wide selection at great prices to help you get creative. All the High Purity DL-Methionine are quality guaranteed. We are China Origin Factory of CAS NO 59-51-8. If you have any question, please feel free to contact us.